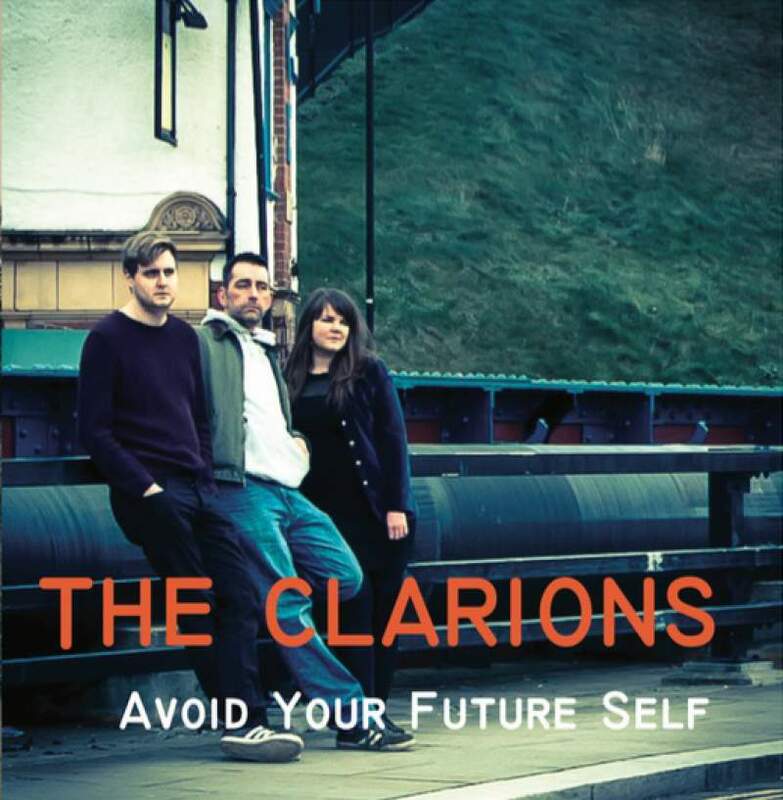 Indie blues rockers The Clarions launch their new EP at The Cluny 2 on Saturday 9th April. Here, they tell us more about their sound. We’re Claire Delamore (vocals, bass), Scott Gartshore (guitar) and Adam Clarke (drums), an indie rock and blues band from North Shields and County Durham. We first started out as just Claire and Scott back in 2012, exploring music and finding the kinds of songs we both liked. We soon found we were on the same wavelength, bonded over a mutual love of Patti Smith, and started developing our own sound. We became The Clarions in late 2014 and found our last Clarion, Adam, in early 2016, who’s really brought the final element to our music. We’ve all been involved in various musical endeavours before. Scott has played guitar and bass in bands around Glasgow (his hometown) and Adam has been in bands since school. Claire finally got into singing in her late 20s after overcoming a fear of singing in front of anyone, and hasn’t looked back since. We share a love of all kinds of music, and making music is something we all feel compelled to do, like it’s something we have in ourselves that needs to come out! Finding each other has been the major inspiration, as we just bounce off each other…one of us will play or sing something, it triggers something in someone else, and suddenly we’re discovering a new song. It’s the best feeling! Quite a varied bunch of influences! Patti Smith, Nick Cave, Velvet Underground, Jimi Hendrix, The Black Keys, Jack White, Tom Waits, and The Black Angels. Indie rock and blues seems to be the best all-round description. We fit into the local indie rock/blues rock scene, playing both small and larger venues. Over the next year, we’re hoping to branch out into more venues, support other indie pop and rock acts, as well as continuing to play on our own gigs. We put everything into our live shows and play our hearts out. We play with soul and love playing live, which I think comes across. We’ll get you jumping and dancing about, but also moved during the slower songs (we hope!). Adam has really been the final piece of the jigsaw and the drums has brought everything together to form something more powerful. We’re launching our debut EP, Avoid Your Future Self, at Newcastle’s Cluny 2 on Saturday 9th April, which we’re really excited about. Having two of our own tracks played on Radio Newcastle on the BBC Introducing North East show meant the world to us, especially as they are songs from our very first EP. Probably getting the EP finished, as we had lots of songs and had to trim them down to five, mainly based on feedback from gigs of what people liked best. It also took us a while to find a drummer, so we were thrilled to have Adam join the band (after he and Claire met in the queue for the loos at another gig!). We found Adam while we were recording the EP so we were able to finish it with him on the sticks. After the EP launch, we’re going to start working on an album – we already have three songs written, so we’ll keep on writing and get some more material ready. We would love to play larger local venues in the future, and play at festivals around the country. We’ll hopefully continue to get radio airplay and grow our audience.